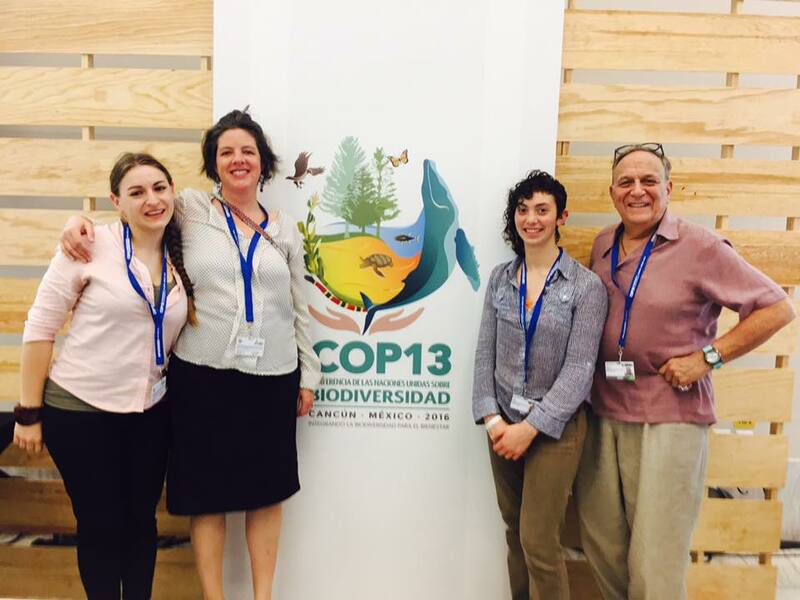 L-R: Johanna Lundahl, Heather Day, Simone Adler, and Phil Bereano at the UN Conference on Biodiversity. In 2003, the Cartagena Protocol on Biosafety went into effect as a supplemental protocol to the CBD. The Biosafety Protocol addresses the risks of trans-boundary movement of biotechnology and genetically modified organisms and the possible adverse effects to human health and conservation of biodiversity. Through a mechanism called the Precautionary Principle, the Biosafety Protocol demands that where there is a threat of significant reduction or loss of biological diversity (or harm to people and the environment), the industry has the burden of adopting measures to avoid or minimize such a threat, even if there is a lack of full scientific certainty or consensus. This is significant because it upholds social responsibility above the economic incentives of biotechnology and GMOs. In 2010, at the 10th COP to the CBD in Nagoya, Japan, the Nagoya Protocol on Access to Genetic Resources and the Fair and Equitable Sharing of Benefits Arising from their Utilization was adopted as a second supplementary protocol to the CBD. The Nagoya Protocol went into effect in 2014 as a transparent legal framework to implement the objective of access and benefit sharing contained in the CBD. This concept of ‘utilization’ obliges genetic and biochemical research and development to access such resources in accordance with prior and informed consent, for example with indigenous peoples, and includes protections for disputes and violation, and to share the benefits with them. The Biodiversity Conference comes during the United Nations Decade on Biodiversity (2011-2020). The meetings will focus on mainstreaming biodiversity in agriculture, fisheries, forestry, and tourism, with week-long discussions ranging from sustainable food and production systems to climate action, to sustainable development goals, and more. AGRA Watch is participating in these meetings with other environmental and social justice groups to organize side events and affect the process, and stand behind strong implementation of the Convention. As a campaign that collaborates closely with African farmer networks to challenge the Gates Foundation in their support of the biotech industry, it is important that we participate in this high-level international dialogue and framework setting to support a participatory and democratic process accountable and responsible to the people and ecosystems in discussion. In our organizing efforts to promote African-initiated programs rooted in agroecological and indigenous farming practices, social equity, and food sovereignty, AGRA Watch is hosting a side event with partners who share our vision that food sovereignty supports biodiversity. The event, called “Biodiversity Under Threat: The Gates Foundation, Philanthrocapitalism, and the Capture of African Agricultural Biodiversity” will include speakers from AGRA Watch, the African Centre for Biodiversity, Kenya Food Rights Alliance, and European Network of Scientists for Social and Environmental Responsibility (ENSSER). 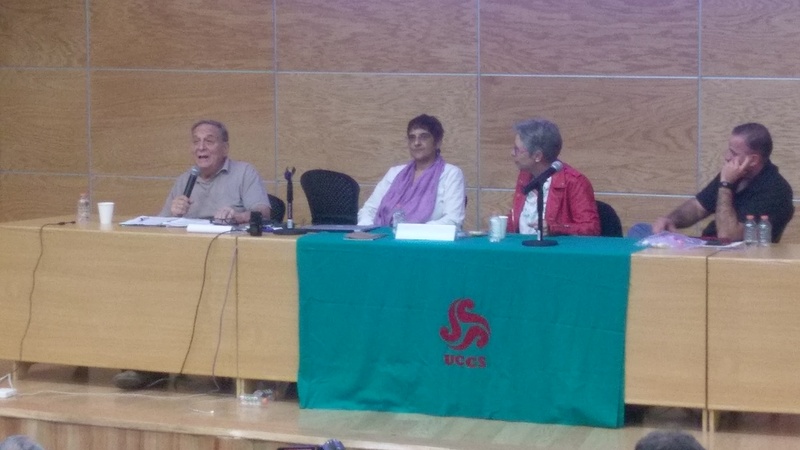 Phil Bereano presenting at the ENSSER conference in Mexico City. On December 3, CAGJ director Heather Day and AGRA Watch Intern Johanna Lundahl arrived in Cancun, meeting up with Simone and Phil, where all will participate in the meetings through December 10. On Sunday, December 4, we participated in the opening CBD Alliance meeting, a space for non-governmental parties to the CBD, including civil society, NGOs, indigenous peoples, and other social and environmental justice groups. Following this, we attended the opening ceremony of the CBD. More to come! This is not the first time that AGRA Watch has attended international conferences related to food and development. In 2010, we participated in the Nagoya meetings and also organized panels with our African partners. Beyond demonstrating that the grassroots and civil society have a voice in these global processes that affect us all, AGRA Watch will engage in spaces for solidarity and movement building, connecting with activists on intersecting issues of social, ecological, political, public health, and economic justice issues. Posted in Agra Watch Blog Posts, Agra Watch News, Bill and Melinda Gates Foundation, Food Justice Blog Posts, Projects, Slider, Trade Justice Blog Posts and tagged CBD, COP13.